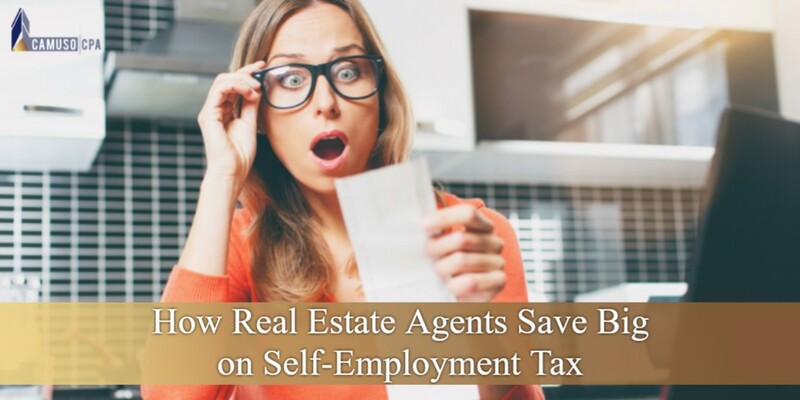 If you are a real estate agent or broker, you are most likely subject to the self-employment tax. We will go over how you can potentially save thousands on your tax bill. If you’re like many real estate agents and brokers, you are paid as independent contractor. Electing to have you LLC to be taxed as an S-Corporation allows you to hire yourself as a W-2 employee and split your earnings between salary and distributions. It is very important to work closely with a CPA to set a reasonable compensation for yourself to avoid IRS scrutiny. Creating an entity and electing to be taxed as an S Corp has its advantages and can potentially lower your tax liability, but has many considerations which are warranted before making the tax election and changing your company structure. Contact our team today to discuss you entity selection in detail as it related to your specific financial circumstances.